Plaster holds an important place in the home improvement industry. Harder and tougher than drywall, plaster is also extremely fire-resistant. Plaster walls tend to be thicker and more sound-proof than their drywall counterparts, and many believe that plaster has a more luxurious appearance, as well. Your interior walls can be beautiful canvases, displaying artwork, photographs and even distinctive home interior design techniques. When entering a room, the eye automatically travels to the walls, noticing your beautiful decorating. If your plaster walls have problems or repair issues, your room’s overall appearance will suffer. To ensure that your repairs look neat and professional, it’s important to follow specific steps carefully. With a home plaster wall repair guide, you can transform your walls and restore their former beauty in every interior room of your home. Very old plaster walls (some of which have survived not just for decades, but for centuries) were installed over wooden lath. 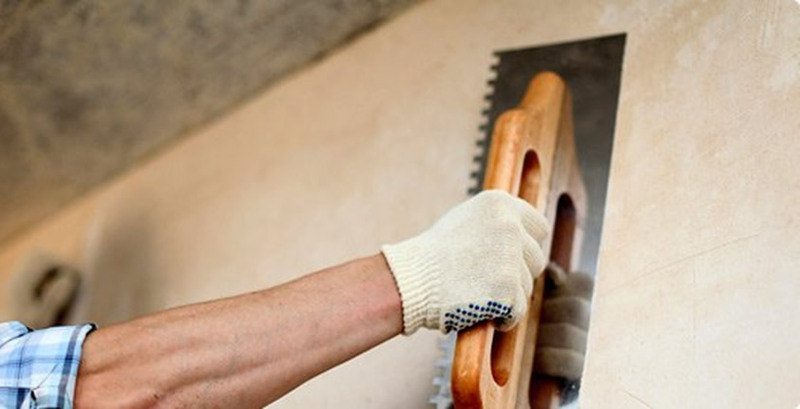 Today, however, most plaster walls are created using metal lath or blue board, a special kind of board that is hung like traditional drywall but designed specifically to be a base for a plaster surface. Whether installed over lath or over blue board, plaster walls typically employ multiple continuous plaster surfaces. This eliminates the visible joints that can be found in many drywall installations and results in a more durable and more uniform surface. Though plaster is sometimes applied in a single, polished, veneer coat, it is usually applied in at least two coats. The first layer of plaster applied to the board or lath is called the scratch coat; here, the surface is roughed in and often textured to provide better adhesion for the top or finish coat. In some cases, a middle coat (sometimes called a "brown" coat) is used between the scratch coat and finish coat. When performed properly, the result is an extremely smooth, tough surface that is ready to receive paint or wallpaper. What a homeowner should absolutely not do is hire a plaster installer who does not have a sufficient amount of experience using the material. We at Lujan construction have over 20 years of experience in this industry and we will surely not let you down. Contact us today to discuss further possibilities.